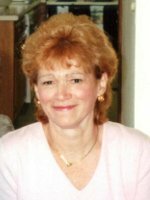 ALBANY – Suzanne M. (Berdar) Testa, 62, passed away peacefully on January 11th, 2014 after a long and courageous battle with cancer. Suzanne, or “Sue”, as lovingly known by her family and friends, was born on September 28, 1951 in Pfaffenhofen, Germany, to Vincent and Berta Berdar. Shortly after her first birthday, Sue moved to the United States where she became a lifelong Albany, NY resident. Sue’s greatest joy was her family. She was an amazing wife, mother, sister, daughter, aunt, and grandmother. She enjoyed baking, spending time with family and friends, vacationing in Florida and going out to dinner on the weekends. Sue’s positive attitude and selflessness made people want to be around her, and she was a true friend to all who knew her. Her loyalty, support and kindness to family and friends are what Sue will always be remembered for. Sue worked at the New York State Division of Criminal Justice Services for nearly a decade, until opting to put her career on hold to become a stay-at-home mom to her two children. Sue eventually went back to work and spent the last twenty years of her career working for the Albany Regional Cancer Center and New York Oncology Hematology. Sue is survived by her loving husband of 37 years, Alfred D. Testa; mother, Berta Berdar; children, Alfred V. Testa (Meghan), and Andrea T. Hallock (Peter); brother, Vincent R. Berdar (Barbara) and her granddaughter, who she absolutely adored, Charlotte Suzanne Testa. She is also survived by a host of aunts, uncles, cousins, nieces and one nephew. Sue was predeceased by her father, Vincent A. Berdar. Lastly, Sue and her family would like to extend their gratitude to Dr. Patrick Timmins and Dr. Michael Kolodziej, their respective staffs, and the wonderful nurses at St. Peter’s Hospital and The Hospice Inn for all of their care and support. Funeral services will be held in the Hans Funeral Home, 1088 Western Avenue, Albany, Tuesday morning at 8:15a.m., and from there to All Saints Catholic Church (formerly St. Margaret Mary’s Church) at 9:00 a.m. Family and friends are invited, and may call at the funeral home Monday from 4-8 p.m. Interment will be in Our Lady of Angels Cemetery, Colonie, NY. Those who wish may make a memorial contribution in Sue’s honor to St. Jude Children’s Research Hospital at www.stjude.org/donate. To leave a message of condolence for the family, send a sympathy card, or obtain directions to the funeral home, please visit www.HansFuneralHome.com. Click here to view Sue’s resting place in Our Lady of Angels Cemetery, Colonie, NY (Albany zip code 12205). The beautiful words in Sue’s obituary describe her perfectly. I have never met anyone with such a positive attitude, always concerned with others instead of herself. I will miss her dearly. Al and family, my condolences to you all. You will be in my prayers. I will treasure our memories. She was such a very special courageous person. All she has been through. and not once did she ever complain. Will miss meeting her for lunch . My thoughts and prayers are with all of you. So very sorry for your loss. I didn’t know Sue well but she stood out as being a wonderful understanding and strong person . You all will be in my prayers and thoughts. Sue was the only person I ever knew who never had a bad word to say about anyone. She was always positive and upbeat, a wonderfully kind and compassionate woman. I treasure the time we worked together and will not soon forget her. My toughts and prayers are with you at this sad time. Cousin Sue, My fondest memory is when we all went to Cape Cod as kids and Aunt Alice was the boss. Fly angel fly. With deepest sympathy I am do very sorry to hear of your loss, Sue was a genuinely beautiful person. May you find in all your memories a constant source of comfort. Suesy was the sweestest cousin every made! I always enjoyed working with Sue. She was such a nice wonderful person. I’m sure you must have many warm pleasant memories. My thoughts and prayers are with you. Take care. I just learned of Sue’s passing and am very sad. I used to work with Sue at DCJS. She also lived in my neighborhood and I used to see her at Holy Cross. Sue was a very nice person and had a wonderful smile. I went to McCloskey with both of you and I has remember her as being a really sweet girl. I am so very sorry for your loss. My heart and prayers go out to you. My prayers and thoughts go out to you. By meeting Sue but only a few times, was enough to sense the goodness in her heart.